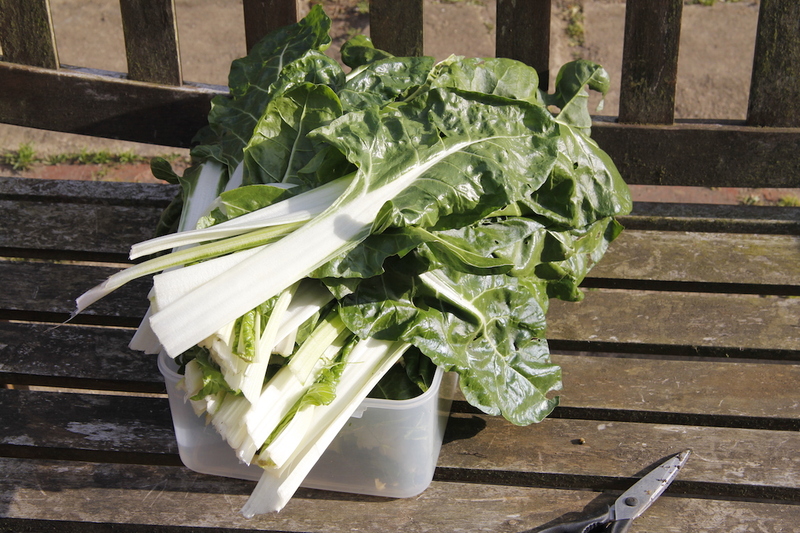 All the purple sprouting broccoli has gone so we are now on swiss chard again (and fresh new salad from the greenhouse and cold frame) – every May we eat a LOT of swiss chard while we wait for broad beans and mange tout. The swiss chard was sown last year, but resprouts in the spring and we eat it until the current year’s swiss chard is ready – note to self I MUST plant my swiss chard today! So I decided to make harira and borek for dinner. For a recipe for borek see here. Harisa is a SW Asian lamb and chick pea soup/stew. It is amazing – it is one of the reason we keep sheep (although I think it would be just as good with goat actually – or without any meat). 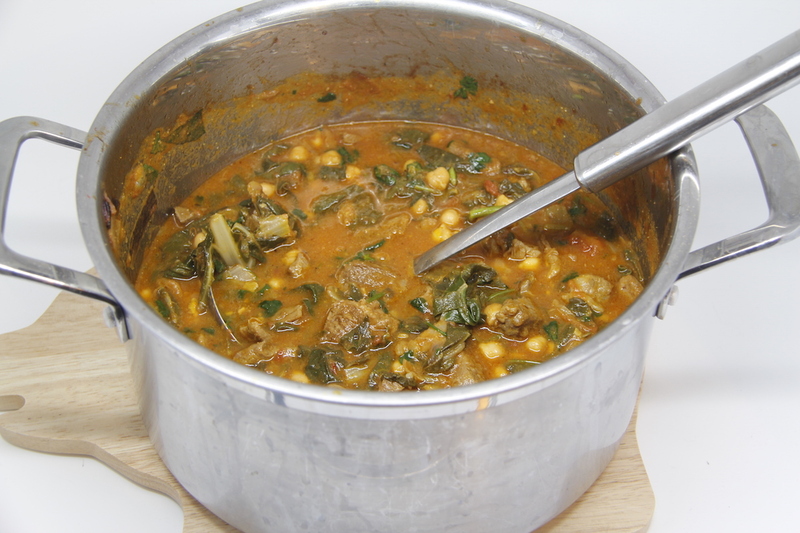 Harira: neck of lamb, one onion, stock or water, pinch of saffron, tsp of ginger, tsp cumin, salt and pepper, juice of one lemon, small bunch of fresh coriander, handfuls and handfuls of swiss chard, tin of tomatoes, two tins of chickpeas, tomato puree. 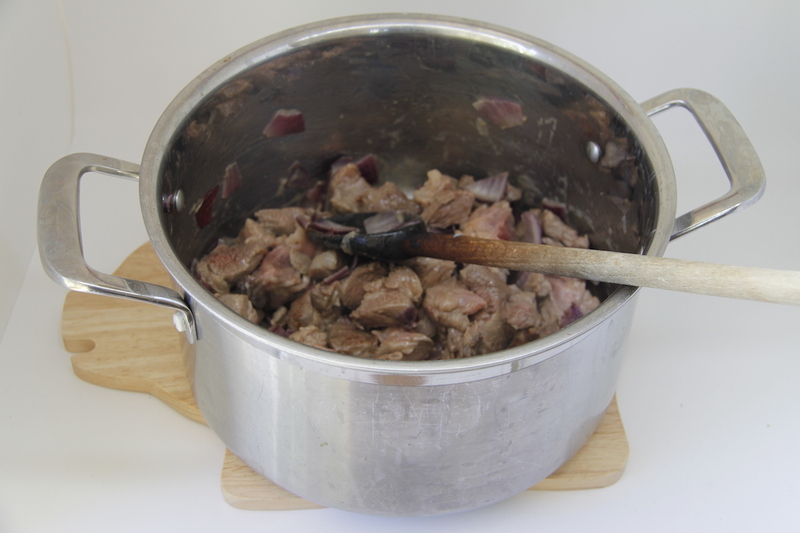 Cut onion into cubes and fry gently, add cubed neck of lamb and brown. Add tomato puree and caramalise a little. Add the tomatoes, chickpeas and enough stock to generously cover the meat. Simmer for an hour (or until the meat is done to your liking). Add in the spices and seasoning and cook a little longer. Add in the swiss chard and lemon juice and cook for a few minutes until wilted. Add in the coriander at the end. Serve with yoghurt and flat bread and more lemon, if you remember – I didn’t. N.B. I am so pleased I finally have managed to grow a little coriander. N.B. I only used the leaves yesterday. I have saved the stalks and will make a gratin with them later.